As a Sourcing & Procurement senior consultant/manager, you will be based in the Operations advisory group where you will be advising clients on creating more value by optimising their operational processes. In today’s fast-changing world, companies have no option but to adapt their primary process continuously to new market circumstances and technological developments. This has resulted in optimisation and re-structuring issues for companies. PwC is offering you an opportunity to help design and devise innovative solutions in an international environment that will prepare our clients for tomorrow. We are seeking an ambitious, independent Sourcing & Procurement senior consultant or manager with technical and creative talent. You are enthusiastic and sincere about helping our customers and your colleagues get ahead. You enjoy using your practical and creative skills to analyse and resolve new issues. You find it stimulating to work on large-impact engagements where you deal with senior management at the customer organisation. Your advisory skills allow you to inspire customers and retain their loyalty. As a Sourcing & Procurement senior consultant/manager, you will be based in the Operations advisory group where you will be advising clients on creating more value by optimising their operational processes. This could take the form of new digital and other developments, designing and creating new procurement organisation structures, spend analyses and procurement process improvement programmes. You will begin in a larger project team and will work in a number of sectors. This makes the work varied and will give you an inside insight into how a variety of organisations work. You will work in teams that pursue improvement initiatives together with the client. Initiatives that are always based on factual analyses and focus on achieving the selected strategy. Working closely with the client, you will ensure that the correct strategic initiatives are selected and implemented. Our integrated method of working yields feasible solutions, measurable results and permanent changes. If a multinational wishes to control its costs and make its operations more sustainable, insight into its sourcing and procurement is crucial. In certain sectors, as much as 70% of company costs go to external suppliers. If we include scarcity of raw materials and today’s fierce competition in the equation, it is no surprise that the procurement function these days often tops the strategic agenda at enterprises. Procurement is no longer an administrative back-office task, but a strategic partner for value creation. We assist our clients by optimising their procurement function. The results are immediate and impact our clients’ profitability. We do this with the client, a multidisciplinary team from PwC and by applying a pragmatic approach. Procurement Function of the Future: to prepare our clients’ procurement function and processes for tomorrow. Using our expertise and insights into the latest trends and developments such as: Procurement 4.0, Agile Sourcing & Procurement and the latest technological developments (cloud solutions, e-Procurement services), we work with our clients to increase the added value of the procurement function. Strategic Sourcing: To keep supplier costs down while ensuring the quality of goods and services delivered remains high. We perform a thorough expenditure analysis, support our clients in drawing up a strategic procurement plan and supervising the implementation of contracts involving organisation-wide improvement initiatives. Procurement Diagnostic: to identify improvement opportunities. We identify cost-cutting and improvement opportunities, test the maturity of the procurement function and analyse the difference in the current and desired performance levels. This leads to a sound transformation plan. 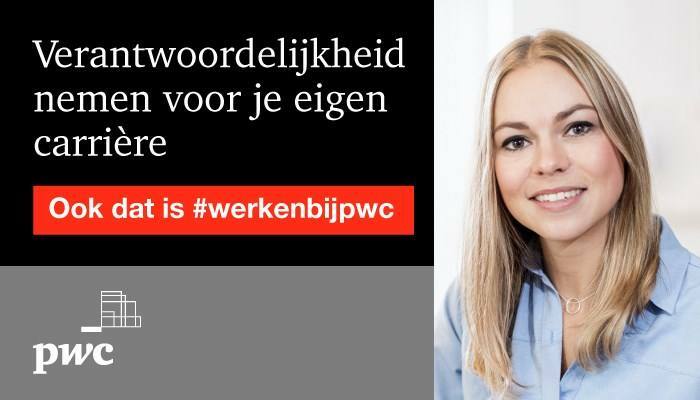 Please send your application for Senior Consultant/Manager Sourcing & Procurement at PwC in Amsterdam including your resume and cover letter via our website.